Safe, environmentally friendly and offering cost savings for drivers of city cars and compact cars. Reduces fuel consumption and CO2 emissions. Made from eco-compatible materials that minimise environmental impact, both at the production stage and throughout the life of the tyre. Longer lasting tyre that maintains high levels of performance and safety. Stability and steering precision. Roadholding whilst cornering even with a full load. Safety in the wet and lower cabin noise. 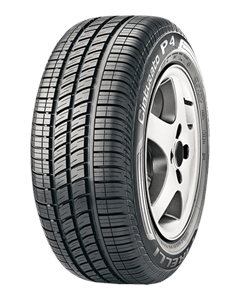 This is a tyre for city cars and compact cars which doesn’t compromise on safety and comfort. Great value, excellent service and a totally no-fuss web-site that does everything you would want from a Tyre Garage. They're brilliant - first place I think of to go to if I have any kind of tyre or wheel issue. The best garage In the area (Station Garage) also uses then for anything tyre- related and recommends that their customers go there. Went there today when I had a flat tyre, and they were great as usual; fast, reasonably priced and very nice guys. Thought I needed a new tyre, turned out it just needed re-sealing. Nice guys.